New York City’s Central Park is the ultimate retreat for family visits. 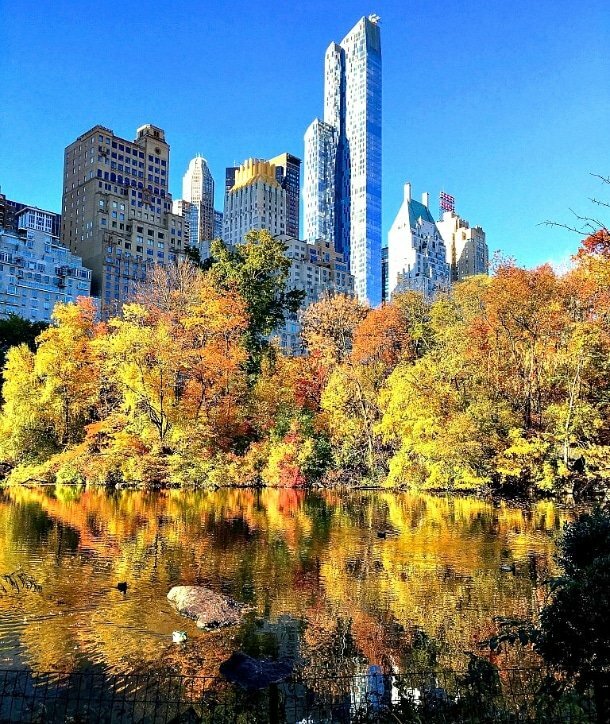 In every season, Central Park offers a wide range of sites and attractions sure to please travelers of all ages. As a native New Yorker I’m always discovering new things when I explore Central Park and you will too. 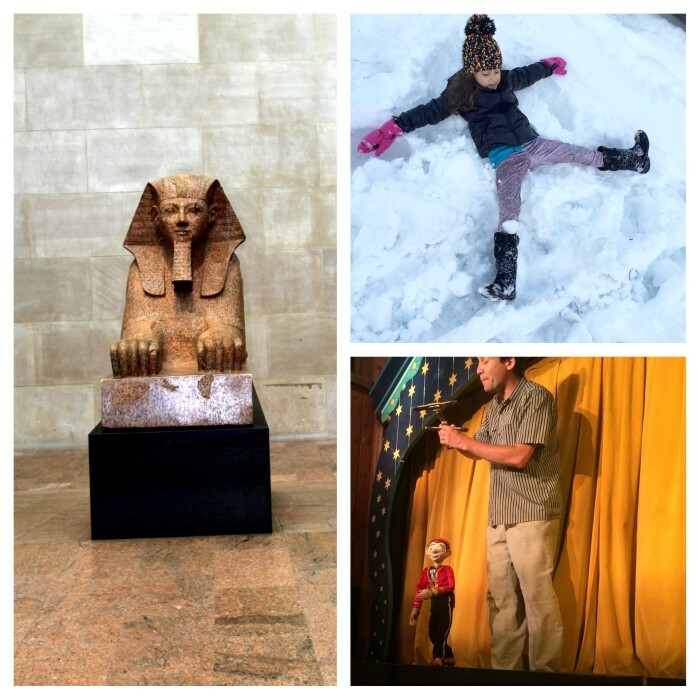 Here are some of my favorite seasonal picks for visiting Central Park with kids. When it snows in New York City, Central Park becomes a winter wonderland of fun. Families will find hills for sliding and snow tubing, plus miles of snow covered grounds for snowshoeing, snowman building, snow angel making and snowball fights. One of the most classic winter adventures in Central Park is ice skating at Wollman Rink. When you’re done with the chilly temperatures, head over to the Metropolitan Museum of Art (located on the park’s east side) to warm up. Enjoy the museum’s changing exhibits and some of the world’s most amazing artifacts like the Temple of Dendur. Another fun indoor activity for small children is the Swedish Cottage Marionette Theatre, which puts on amazing (and affordable) performances throughout the year. Springtime in Central Park is the best time to set up a family picnic (hello Great Lawn! ), fly a kite, and play on one of the park’s plentiful playgrounds. One of my favorite picks is the Ancient Playground (inspired by the nearby Egyptian Wing of the Met), which features stone pyramids, tunnels, forts, tire swings and slides. 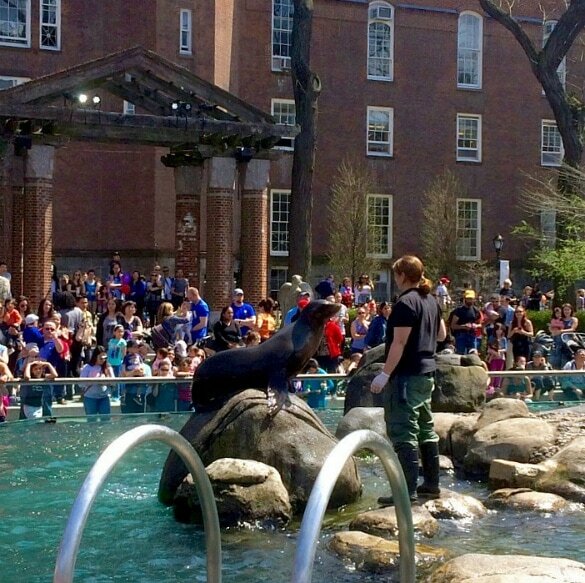 The Central Park Zoo is a must see for family visits. Small children will want plenty of time to experience the Tisch Children’s Zoo, which is separate but included in the ticket price. Tisch Children’s Zoo features several animal feeding areas, a spider web net, adorable photo ops and more. The main zoo features classic exhibits including the famed sea lions and polar bears. Located near the Children’s Zoo, be sure to stop at the Delacorte Musical Clock on the half hour for seasonal chimes and nursery rhymes performed by moving animals. And be warned…the balloon artists set up shop on the way into the zoo but balloons are not allowed inside so hold off on your purchases. A nice post-zoo pitstop is the nearby Central Park Carousel. When New York’s summer temperatures surge, Central Park is a welcome retreat. If you’re visiting with young children, plan a visit to Victorian Gardens, an adorable amusement park with old-fashioned rides. Renting a row boat from the Loeb Boathouse is a great way to enjoy a summer afternoon. The nearby Conservatory Water hosts mini radio and wind-powered boats (from April through October) and children’s story times. Also nearby is the famed Alice in Wonderland bronze sculpture, a favorite climbing spot for locals and tourists alike. Kids who like to explore can pick up a free Discovery Kit that includes binoculars, a hand lens, pencils, sketch paper, and child-friendly field guides. There are also several summer outdoor concerts and performances like Shakespeare in the Park, which are great for older kids. Cool down with a popsicle purchase from a park vendor. For a more substantial meal, be sure to pack a lunch since there are very few spots to buy meals within Central Park. If you’re looking for a stunning backdrop for family photos, autumn in Central Park is a lovely option. The vibrant leaves combined with the urban backdrop is just beautiful. Download this fall foliage Central Park map and head out on a walking tour or grab your sneakers and follow your kids as they explore the many gigantic climbing rocks. Bethesda Terrace and Turtle Pond make lovely spots for photo ops. Beatles fans will want to stop by Strawberry Fields, a 2.5-acre landscaped section of the park built in memorial to John Lennon and named for his famous song of the same name. Be sure to check out the Central Park event calendar before you plan your visit. 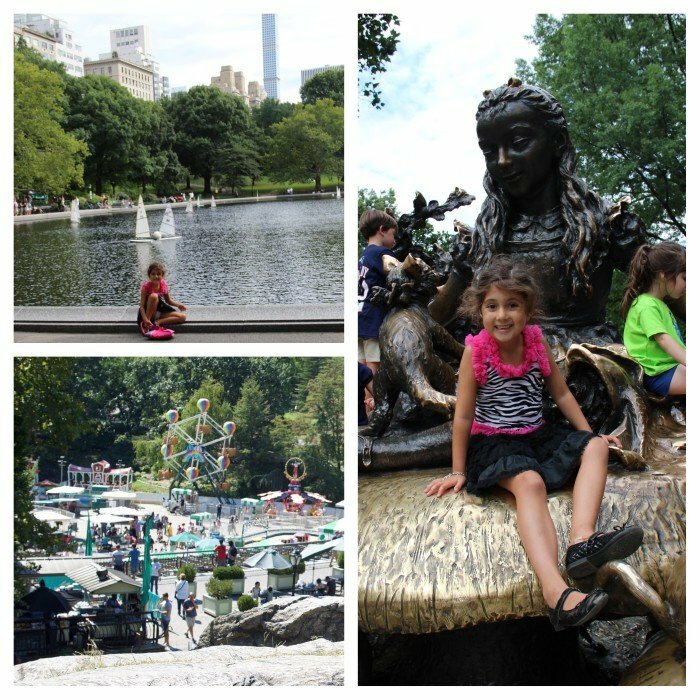 Have you ever visited Central Park with kids? Tell us your favorite memories in the comments below! Excellent article. I always enjoy reading what Lyla has to say. She has the best ideas.